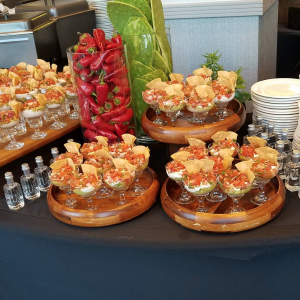 Culinary Creations by Chumie is an upscale kosher catering company that caters events both large and small. 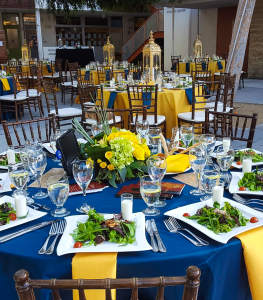 Starting out with modest beginnings, CCBC has grown to a full-service catering and event planning company. 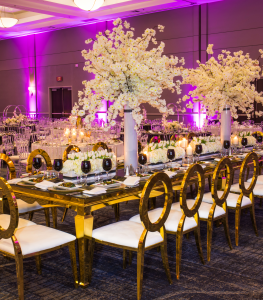 Dedicated to alleviating the stress that can accompany your special occasion and being "one phone call" that can handle it all, CCBC is devoted to creating your five-star affair. 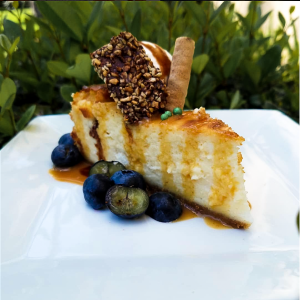 We regularly update our menus to be up-to-date on the latest and most innovative trends. Our ServicesDelicious bites. Stunning Settings. Decadent Desserts. 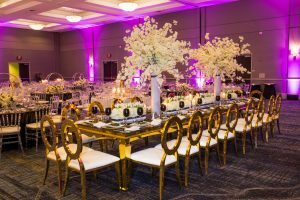 WeddingsNow offering Full Service Wedding Planning! We've held your hand from your son's Bris through Bar & Bat Mitzvah planning and everything in between. We are now offering Full Service Wedding Planning. With one phone call we will calmly handle it all! Bar/Bat MitzvahsTrust us to cater & plan your son or daughter's special day. 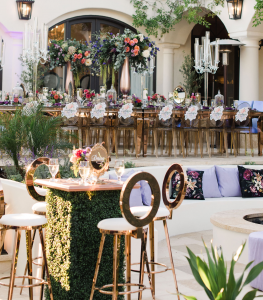 A bar or bat mitzvah is a day that becomes one of a child's fondest memories. Trust the experts to do it right! From the cuisine to the decor, we will make it the memory of a lifetime. Bris/Baby KiddushLet us take care of the planning while you care for your newborn. A bris or baby kiddush only happens once, and occurs at possibly the busiest time of our lives. Let us lighten your load and take care of the details. All you have to do is show up. Sheva Brachot & Engagement Parties Recently engaged? Newly married? These memorable moments are our specialty. When is child gets married, there's so much to do! Spend your energy planning the wedding, and we will ensure that the vort or sheva brachos will be just as memorable. Corporate EventsNo matter how large the crowd, our meals are guaranteed to be a crowd pleaser. 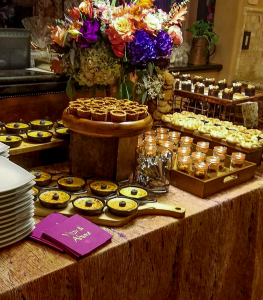 Whether it's a fundraiser or a holiday party, we have the expertise to handle it all. From themed events to conferences, we guarantee that you'll be satisfied. Inquire About your EventCheck availability & get a quote for your event. Please allow 2 business days for a response. You can also call: 1 (818) 300-5687 to inquire via phone. Thank you for doing an absolutely superb job this past Shabbos. Everything from the details to the setup to the display to the tasty food itself was incredible. You pulled through in a way that I could never have imagined or expected and I appreciate every minute of it. Thank you for being so committed to us and going far and beyond the call of duty especially when it wasn't your responsibility to push the food out etc. It did not go unnoticed. Thank you for a beautiful event. We should continue to make many events together, you're a wonderful person to work with. Chumie and her staff catered our cocktail reception. Display was excellent and plentiful, service was perfect and they stepped in to help with so many other pieces of the day. Thanks for being so great! I loved the uniqueness of the food choices they offer. Kosher and non-kosher palettes would definitely be impressed by the quality of the food by this catering company. 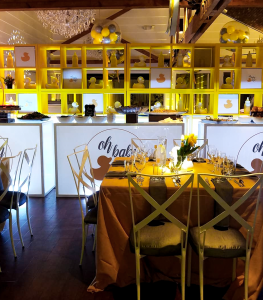 We had a great Bar Mitzvah weekend with Chumie and her team, highest recommendation!